I'm a great fan of the all-in-one superzoom 'bridge' cameras such as the Panasonic FZ1000 and the Sony RX10. 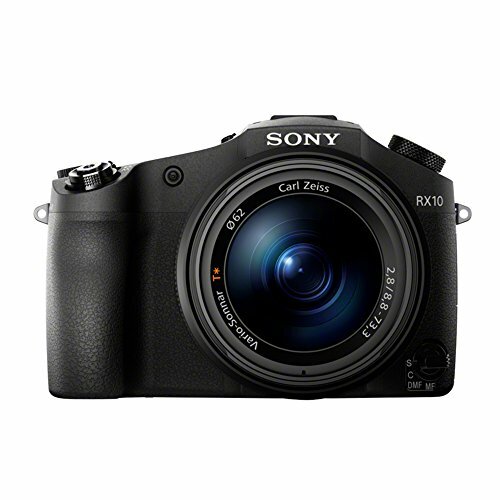 I thought it would be interesting to see how the RX10 compared to my Sony a6000. To make it a tough test I used the Sony FE 55mm F1.8 ZA Carl Zeiss Sonnar T* Lens on the a6000. I set up a test subject and tripod mounted both cameras. I tested at ISO 125 and ISO 3200. f/4 on both cameras. For the purposes of this test I processed from raw to see exactly what the files looked like. You can see the results above. At ISO 125, which is the base ISO of the RX10, they are actually quite close. The 55mm on the a6000 gives marginally more 'bite' but it's obvious that the Sony / Zeiss zoom on the RX10 is an excellent lens and these 100% blowups show just how sharp and clean the files are. At ISO 3200 it is however a different (though not unexpected) story. The RX10 sample is much 'grittier' and noisier. Personally I don't think it's that bad. But then I'm going to use the camera at this setting very rarely, if at all. So no, there is 'no such thing as a free lunch.' All the advantages of the RX10, it's all-in-oneness, the 1" sensor allowing a huge zoom at a relatively small size, work (as again might be expected) very well at low ISO's. 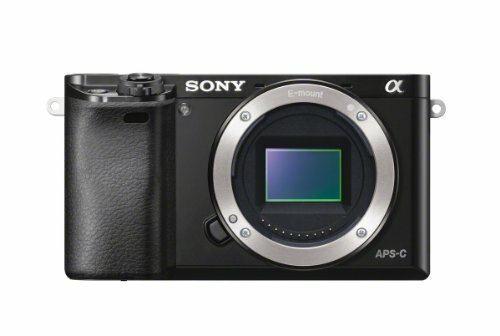 However, the 1" sensor can't produce the same quality results as the a6000's APS-C unit at higher ISO settings. Now none of this changes my opinion that the RX10 is a remarkably good camera and for the kind of work I do, a very real alternative to cameras with APS-C sensors. The fact that I don't have to carry a bag of lenses around is obviously a bonus as is the speed of the zoom, which deals with pretty much every situation I find myself in. The conclusion, if there is one to be made, is that at this moment in time we are privileged to have such an incredible choice. Since the early days of digital photography I've watched sensor performance improve dramatically and many of the compromises I had to make just a few years ago are now unnecessary. I have a range of cameras that give me the quality I want and need. Somewhat unbelievably I have a mobile phone that does that to. Regarding the a6000. In two previous posts I've been writing about Nikon's reluctance to get involved with serious high quality mirrorless cameras. In the first of these links there is an interview with a Nikon rep. And the arguments he makes just don't hold water. Here's a couple of quotes from the Amateur Photographer interview. 'Though he could not predict whether DSLRs will be around forever, he claims they offer advantages over CSCs, in terms of AF speed, tracking and ‘reliability of the life cycle’. Well in terms of AF speed and tracking, the gentleman has obviously never used an a6000. It's incredibly quick. And as to the reliability of the life cycle’ ??? What on earth is that supposed to mean? Prime BS as far as I'm concerned. If he's talking about the actual reliability of cameras then I would remind him of the D600 and the oil leak problem. Not much reliable life cycle there when you have to have your sensor cleaned once a week!! As to the second quote, again he seems to live in cloud cuckoo land. Professionals and enthusiasts (loyal or not!) have already accepted and embraced the high end mirrorless systems from Nikon's competitors such as Sony and Fuji, not to mention m4/3. And 'ecosystem as DSLR' Is this lens /accessories range? If so why not say so. Well I'd remind the Nikon gentleman of Nikons pathetic APS-C dedicated prime lens range, not much 'ecosystem' there. The problem is that statements like this are just as inaccurate and patronising as Canon's famous 'Mirrorless Cameras are for women and teenagers' quote a while ago. You can clearly see the implications in that quote as indeed you can from the Nikon apologist. And the message keeps coming out loud and clear from both Nikon and Canon. 'Real' photographers (i.e. Men) use 'real' cameras (i.e. DSLR's) Because if that's not what they are saying, then they are even more clueless than they seem. I do of course speak as a proud Nikon Df owner. But then that camera just takes pictures and doesn't spout this particular brand of BS that emanates from the people who market it. So, having got that off my chest, it's time to get back on message. There is an obvious advantage to be had from the a6000 and the superb 55mm. But these 1" sensor cameras are making enormous strides forward. And that fact that they are even being talked about in the same breath as APS-C sized sensor cameras, shows just how far they have come. As ever the choice is ours and it seems that choice gets more and more difficult as time passes.